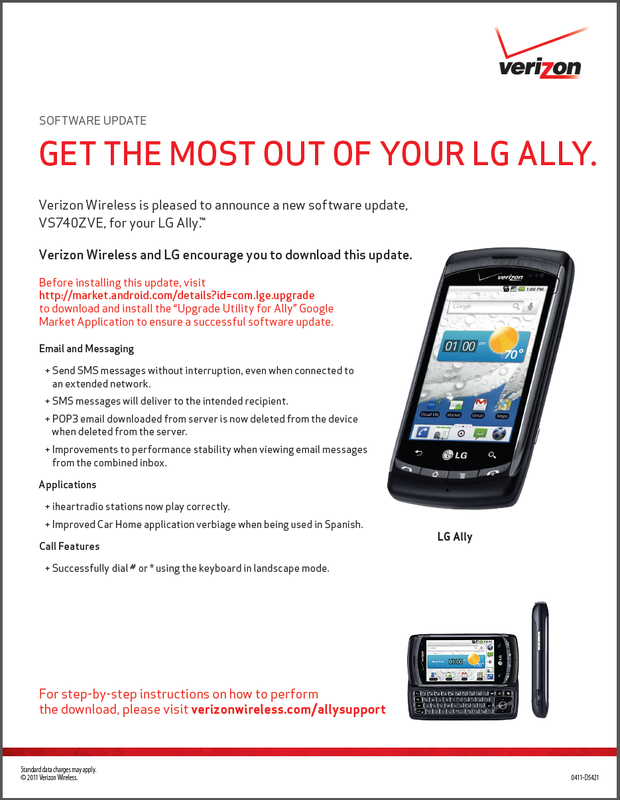 Any LG Ally owners still in the wild? If so, you should be receiving an update to Android 2.2.2 any day now. 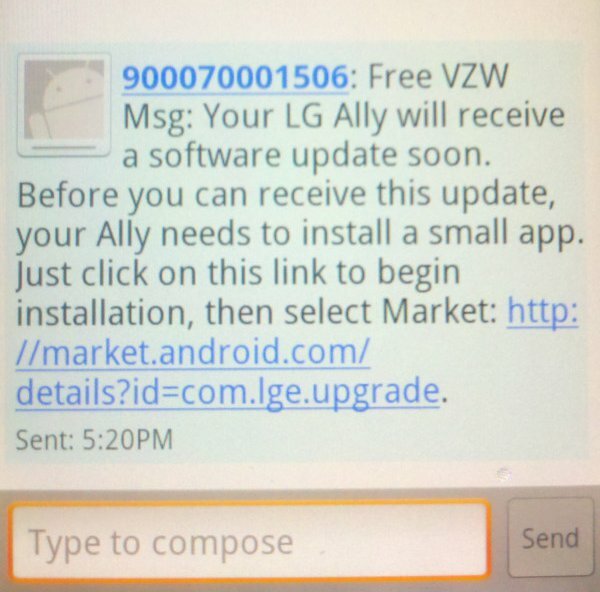 You may also be receiving a text like the one above from Verizon which is reminding you that before you can update, you’ll need to download a special app from the market. We’re not exactly sure why LG and Big Red are requiring an app on your phone in order for this update to go through, but that’s what is needed. The update looks to be an SMS and other random bug fixer. Nothing major. Market link for app. More info.